Google Apps offers a lot more in terms of security, scalability and features compared to Google’s free services. It is geared towards the needs of enterprises which require a simple, secure, cost effective means to collaborate, communicate and share relevant information. You can easily control the information that goes in and out of your organization as Google Apps services offer complete administrative control. Give your employees the convenience of real time information at their fingertips as Google Apps can be accessed on the go with most mobile devices. If you are running a small business and spending a small fortune on Microsoft Exchange, you’re going to wonder why? Particularly when you realise that you could have had better spam filters, 99% email up-time, the Google Apps suite and all for €40 per user per year. 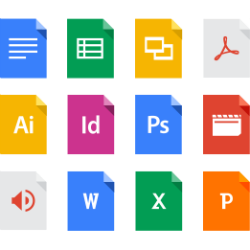 With Google Drive for Work you can store unlimited files and folders. Upload files up to 5TB which you will be able to access from any device, at any time you want. 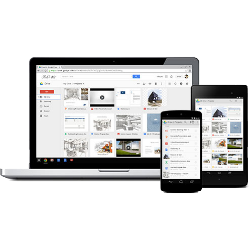 Store and preview all sorts of file types on Google Drive and edit the native Google formats and even Microsoft Office files from your Android or iOS device or Laptop without additional software. All data belongs to you and the tools of Google enable you to control it. Google’s data centers guarantee exceptional security and uptime of 99.9%. Share and work together in real time on your documents to increase the team’s productivity. Even decide which permissions are granted. 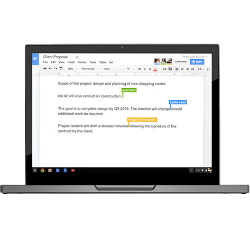 Google Docs, Sheets, and Slides are different types of online documents on which you can work together with anyone in real-time and store them on Google Drive. All your work stored safely, accessible from anywhere, on any device and easy to share. Store and access from everywhere, with unlimited storage. Gmail is a professional email that has your personal domain with built in spam protection and a powerful search to help you getting more done. No ads. Calendar is designed for teams to spend less time on planning and more time working with shareable calendars that integrate seamlessly with the entire Google Apps suite. Hangouts let’s you meet face-to-face with anyone through HD video meetings on your laptop, tablet or phone. Share your screen give presentations and chat as you work. With Google Sites you can easily create a project website for your team, an intranet and even a customer portal without writing a single line of code. Google+ is a social network that can be leveraged to build internal and external communities to start a conversation and tap into the ideas of others. With the admin panel you can easily add users, manage devices and configure security and settings so your data stays safe. 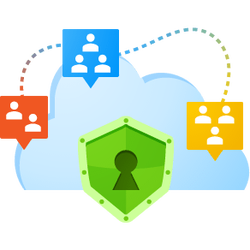 Google vault is an archiving and e-discovery tool to manage, retain, search and export your organization’s email, documents and on-the-record chats.